The Casa invites you to our first-ever floral demonstration featuring three expert arrangers from the Sacramento Floral Design Guild. The demonstrations will be held in our meeting center followed by lunch in our dining room. Two of the arrangements will be given away as door prizes! The Design Guild’s mission is to educate and promote the art of floral design and floral displays, gardening, civic beautification, and environmental responsibility. We can also accommodate all dietary needs, if requested at the time of your reservation. This is a pre-pay event. You can secure your reservation by clicking the BUY TICKETS button below, in person with our Administrative Assistant, or by calling (916) 452-2809. Please join us on Thursday, April 11, 2019 at 9:30 am for our Recruitment Coffee at the Casa Garden Restaurant. 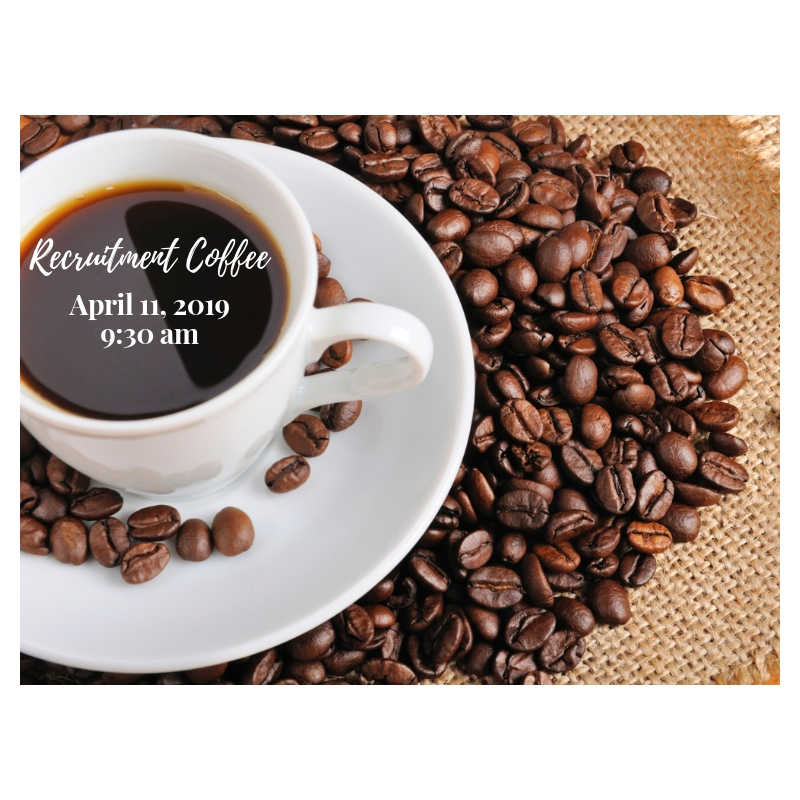 Enjoy a cup of coffee and breakfast snacks and meet some of our board members and coordinators who will tell you about our volunteer opportunities. We are always looking for volunteers to serve in the kitchen and pantry, our garden, dining room, bar area, cashiering, and our business office. You can also go to www.casagarden.org/volunteer to learn more about the Casa Garden’s volunteer opportunities and download our membership application. We invite you to join the Casa on Tuesday, April 2, 2019 at 11:30 a.m., to sample wines from the “Mediterranean Vineyards”. The cost is $26 per person which includes your wine tastings with specially paired hors d’oeuvres, lunch entree, dessert, a non-alcoholic beverage, tax, and gratuity. Mediterranean Vineyards is located in beautiful Somerset in El Dorado County. You are welcome to their tasting room and take a stroll of their vineyards – what a perfect place for a springtime picnic! This particular region inspired them to cultivate some of the best varietals that originated from the “Old World” of France, Italy, and Spain. Join us on April 2nd and enjoy another tasty Casa Garden meal, sip some delicious pours, and meet the knowledgeable and friendly staff from Mediterranean Vineyards! This is a pre-pay event. Your food selection and pre-payment are required. Cancellations are accepted until 10 business days prior to the lunch (March 19, 2019). Tables may be reserved for parties of six or more with one form of payment for the group. You can secure your reservation via the BUY TICKETS button below, in person with our Administrative Assistant or by calling (916) 452-2809. Join us for another tempting Fashion Show and Luncheon with Khaki’s Women’s Boutique, a well-established favorite. Khaki’s is owned by Cathi Hayter and features a unique and varied selection of women’s clothing and accessories for all sizes. Following our luncheon, Cathi will have clothing and accessories for sale in our meeting center. She will graciously donate a portion of the sales to the Sacramento Children’s Home on behalf of the Los Niños Service League. 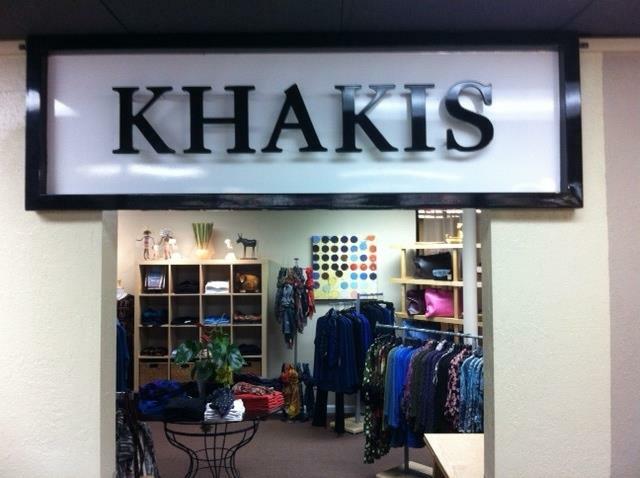 If you wish to visit the store,“Khakis” is located on Fair Oaks Blvd. and Munroe (across from Loehmann’s Plaza and Lyon Village). The cost for this great event is $26, which includes lunch and a glass of wine, dessert, tax and gratuity. This is a pre-pay event. Tables may be reserved for parties of six or more with one form of payment for the group. You can secure your reservation via the BUY TICKETS button below, in person with our Administrative Assistant or by calling (916) 452-2809. Cancellations are accepted until ten full business days prior to the event (March 11, 2019). LUNCH AT THE CASA FOR ST. PATRICK’S DAY! Irish eyes will smile on guests at the Casa Garden Restaurant when they join the fun and merriment at our annual St. Patrick’s Day Celebration on Friday, March 15. Please join us for our annual St. Patrick’s Day celebration luncheon. The cost is $20.00 per person and includes a plated meal of traditional Irish fare, including corned beef, Irish soda bread, Colcannon potatoes, carrots, and yummy Irish cream cake. 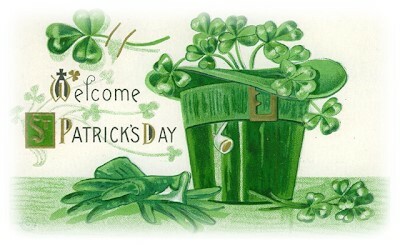 And to enjoy a toast, one glass of green beer (from North Coast Brewing) will be included with meal purchase. Tables may be reserved for parties of six or more with one form of payment for the group. This is a pre-pay event. You can secure your reservation by clicking the BUY TICKETS button below, in person with our Administrative Assistant, Jolene Lavine or by calling (916) 452-2809. Cancellations are accepted until ten full business days prior to the event (March 4, 2019). Join us on Tuesday, March 5, 2019 at 11:30 a.m., to sample wines from the M2 Wines. M2 Winery is located in Acampo. The staff of M2 invite you to their tasting room and also take a stroll of their vineyards and enjoy a wonderful experience. So, please join us on March 5th and enjoy another tasty Casa Garden meal and enjoy the fine wines from M2Wines! As one reviewer commented: “M2 has a reputation in Lodi as one of the better and more innovative wineries. The wines are uniformly well-finished, complete in the bottle, and delicious to us. The staff is knowledgeable and sincerely interested in what they pour…”. This is a pre-pay event. Your payment and food selection are required at the time of your reservation. Please secure your space by clicking the BUY TICKETS button below, in-person with our administrative assistant at the restaurant or by calling (916) 452-2809. Cancellations are accepted until 10 full business days prior to the lunch (February 19, 2019). Branko Zlatar-Ryan & Dillon Spencer are Good Cut. 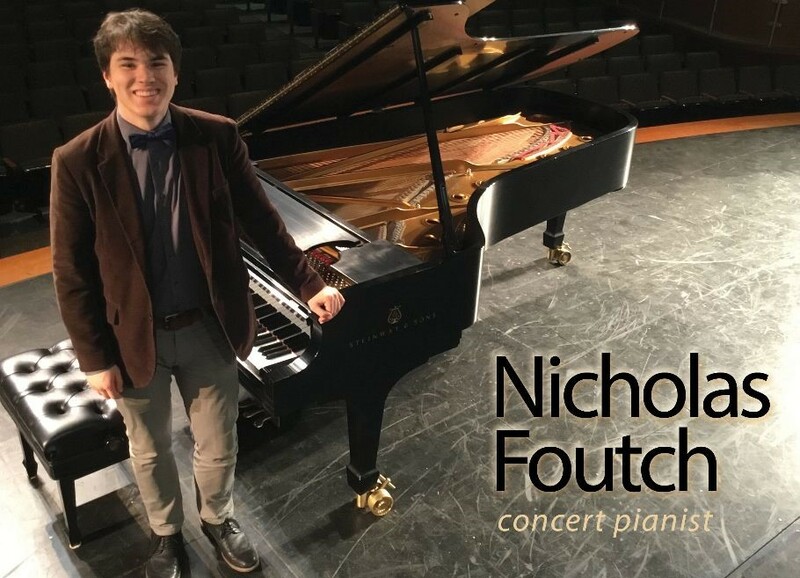 The Sacramento City College Music Department is providing gifted students to perform during our lunch service on the fourth Monday of each month (3rd Monday in May). When you attend, you will be supporting both the Casa and the college. This month you’ll be treated to popular songs from the acoustic guitar duo called Good Cut. This is a pre-pay event. Your payment and lunch choice is required at the time of your reservation. Please secure your reservation by clicking the BUY TICKETS button below, in-person with our administrative assistant in the restaurant, or by calling (916) 452-2809. Cancellations are accepted until ten full business days prior to the event (February 11, 2019). In celebration of Women's History Month, the Casa Garden is offering a presentation by Mary Ellen Burns titled "Notorious and Salacious Women in Sacramento History." You already know about Dorothea Puente, but there are many others. Come to lunch and learn about the scandalous and sensational women from our own community. Maybe one of them even lived next door to you! This is a pre-pay event. Your lunch order and payment are required at the time of your reservation. This event has sold out. Please call (916) 452-2809 to be placed on the waiting list in the event of cancellations. The new year brings with it the return of our ever-popular Casa Garden Wine Socials! Thanks to our dedicated wine committee who continues to bring old favorites and exciting new wineries and vineyards to The Casa! Join us on Tuesday, February 5, 2019 at 11:30 a.m., as we welcome back Karmere Winery and Vineyards! Located in Plymouth, in the beautiful Shenandoah Valley, owners, Marilyn and Todd Pickens invite you to their tasting room and also take a stroll of their vineyards. Karmere has the distinction of award winning wines, such as varieties of Zinfandels, Syrahs, Primabereas, and ports. Come on down and enjoy another tasty Casa Garden meal and meet Marilyn and Todd Pickens. The cost is $26 per person which includes your lunch, beverage, dessert, tax, gratuity and, of course, hors d’oeuvres created specifically for the wine tastings of the day! Your food selection and pre-payment are required. Cancellations are accepted until 10 business days prior to the lunch. Tables may be reserved for parties of six or more with one form of payment for the group. To make your reservation, please call (916) 452-2809 or click the BUY TICKETS button below. The Casa Garden Restaurant & Meeting Center cordially invites you to a special locally-sourced, multi-course and seasonally appropriate dinner with renowned Sacramento Chef Kurt Spataro on Saturday, February 2, 2019, 6:00 - 9:00 p.m. The cost is $100 per person. Open seating or reserved tables of six or more with full pre-payment. Chef Spataro generously offered to prepare this “one-time” dinner several months ago, but his busy schedule made it difficult: He is the corporate executive chef of the Paragary Restaurant Group, which over the decades has pioneered a diverse menu of restaurants and bars that have helped define Sacramento’s dining culture since the early 1980s. He is the hands-on authority who keeps the intricate machinery running at Paragary’s, Centro Cocina Mexicana, Esquire Grill and three Café Bernardos. He also just finished teaching a class at ARC on Restaurant Management & Production. By his own admission, he is “incredibly passionate about cooking." When he (and wife Kitty O’Neal) were traveling with their band Skyler’s Pool, he carried the Chez Panisse cookbook and read out of it to anyone who would listen—including Kitty! This event is now SOLD OUT. Please call (916) 452-2809 to be added to the waiting list. Enjoy a fabulous lunch in a beautiful setting while listening to a trio of talented musicians playing jazz standards. Sound as though you would have to go to San Francisco first? Not at all. The Casa is hosting “Musical Mondays” beginning on January 28th, 2019. The Sacramento City College Music Department is providing gifted students to perform during our lunch service one Monday each month. When you attend, you will be supporting both the Casa and the college. The cost is $22.00 and includes your entrée, dessert with reserved seating. 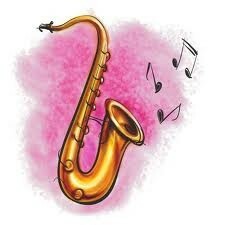 The trio will play during the 11:30 lunch service. Make your reservation on line or at (916) 452-2809. Don't miss the chance to listen and lunch at the Casa! This is a pre-pay event. You can secure by clicking the BUY TICKETS button below or with our Administrative Assistant, Jolene Lavine, in person or at (916) 452-2809. Cancellations must be made ten full business days prior to the event (January 14, 2019). Please join us on Thursday, January 24, 2019 at 9:30 am for our Recruitment Coffee at the Casa Garden Restaurant. Enjoy a cup of coffee and breakfast snacks and meet some of our board members and coordinators who will tell you about our volunteer opportunities. We are always looking for volunteers to serve in the kitchen and pantry, our garden, dining room, bar area, cashiering, and our business office. You can also go to www.casagarden.org to learn more about the Casa Garden’s volunteer opportunities and download our membership application. There are few things as comforting as a bowl of warm clam chowder on a winter’s day. So, it’s doubly wonderful that the Casa Garden Restaurant celebrates National Clam Chowder Day—traditionally January 21—for a whole week. Mark your calendar for January 14-18, 2019 when Chef Vivian will have delicious New England clam “chowda” for sale for $10.00 per quart. This delicious soup is perfect for a cozy winter dinner, so don’t miss out on this great deal! Each quart sells for just $10 and you can place your pre-order today by calling (916) 452-2809. We sold out in record time during our December Crafter’s Corner, so place your pre-order today! St. Francis High School Show Choir Performs! Start your holiday season with lunch at the Casa Garden and holiday music by the amazing St. Francis Show Choir. Lunch will be served at 11:15 am. The choir will perform a 30 minute concert of holiday songs beginning at 11:30 am. Don’t miss this wonderful event featuring Sacramento’s own St. Francis High School Show Choir. Performance at the FIRST LUNCH Seating Only. This is a pre-pay event. You can secure your reservation by clicking the BUY TICKETS button below, in-person at the restaurant, or by calling our Administrative Assistant, Jolene Lavine at (916) 452-2809. Cancellations are accepted until ten business days prior to the event. (Tuesday, November 20, 2018). THANK YOU for your interest! This event has SOLD OUT! Please call the Casa Garden Restaurant administrative assistant at (916) 452-2809 to be placed on a waiting list. 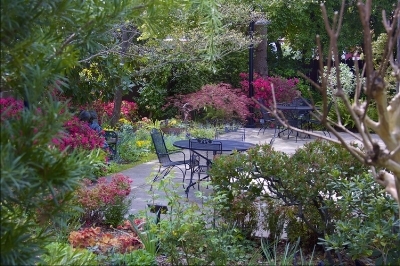 The Casa Garden Restaurant operates solely to benefit the Sacramento Children’s Home. FREE entry! Just in time for the holidays! We invite you to join us on Tuesday, November 6, 2018 at 11:30 a.m., to sample fine wines and enjoy delicious hors d’oeuvres before being served a tasty lunch. Our featured guest vintner is Scott Harvey Winery of Plymouth, CA. Owners, Scott and Jana Harvey have been in the wine business for 40 years, and welcome visitors to their tasting rooms located in the Shenandoah Valley and Sutter Creek. Both locations offer cordial and cozy surroundings that enhance a wonderful visit. Please select your entrée of either Chicken Milanese or the tasty Dilled Shrimp and Pasta Salad, followed by the Casa’s Apple Pecan Cake drizzled with Caramel Sauce. The cost is $26 per person, and includes your lunch, a beverage, tax and gratuity. Your food selection and pre-payment is required. Cancellations are accepted until 10 business days prior to the lunch. Tables may be reserved for parties of six or more with one form of payment for the group. Please click the BUY TICKETS button below or call 916-452-2809 to make your reservation. We look forward to seeing you at our November Wine Social! Research has established that only about 20% of how long the average person lives is determined by genes. The remaining 80% is determined by lifestyle and environment. National Geographic teams performed research to identify the world's longest-lived people. They labeled the areas in which these people live as "Blue Zones." The teams further identified 9 healthy lifestyle habits that are common to each of the Blue Zones' inhabitants. Come hear Allan Keown from the Sacramento Renaissance Society present information about the Blue Zones and discuss the 9 healthy lifestyle habits (some of which may surprise you!) that promote longevity. $26.00 includes a complimentary glass of wine and dessert with your meal. Your meal choices are either a Mushroom, Leek and Ham Frittata or a Dilled Shrimp Salad. For dessert we are serving the ever-popular Strawberry Margarita Torte. To make reservations, please call (916) 452-2809. Come visit The Casa on October 18 and 19, between the hours of 11:00 am and 3:00 pm to shop our popular Crafters Corner! Entry is FREE and you are sure to find unique items crafted by Casa volunteers. Don't forget to make your reservations to dine once your shopping is done. We serve lunch between 11:30 and 1:00 pm. Reservations are recommended. Call (916) 452-2809 to make your reservations or for more information. Dust off your Bavarian hats, lederhosen, and dirndls and join us for an evening of great food, polka music, and good cheer at our annual Oktoberfest. Our evening features a Bavarian Buffet featuring: knockwurst, bratwurst, German potato salad, spatzle & noodles, brazed red cabbage, sauerkraut, potato pancakes, and apple strudel for dessert. Your dinner includes two tickets for complementary wine, beer, or soft drinks, and our favorite band, led by Elaine Lord who will provide entertainment. The cost is only $35.00 and you can pay at the door! Hurry to make your reservation for one of the most festive and fun events of the whole year. We invite you to join us on Tuesday, October 2 at 11:30 a.m., to sample fine wines and enjoy delicious hors d’oeuvres before being served a tasty lunch. Our featured guest is the Jeremy Wine Company. Jeremy and Choral Trettevik dreamed about owning their own winery and in 2010, after a lot of hard work, determination and a vision, they opened the Jeremy Wine Company. Their tasting room is located in a restored bank in historic downtown Lodi, just west of the Old Lodi Arch. Their list of wines change with a varied mix from Spain, Italy, and beyond. When visiting you will be met by either Jeremy, Choral, or their experienced tasting staff. Try their old vine Zinfandel, Sangiovese, Tempranillo, or Barbera. They surprise guests with their jug wine and chocolate dessert wines. Please select your entrée of either Beef Empanada or the Apple Pecan Ham Salad, followed by the Casa’s tasty Chocolate Almond Torte. The cost is $26 per person, and includes your lunch, a beverage, tax and gratuity. Your food selection and pre-payment is required. Cancellations are accepted until 10 business days prior to the lunch. Tables may be reserved for parties of six or more with one form of payment for the group. Please call 916-452-2809 or click the BUY TICKETS button below to make your reservation. We look forward to seeing you at our October wine social and lunch! You are invited to join us at the Casa Garden Restaurant & Event/Meeting Center on Thursday, September 27, 2018 at 11:30 a.m., to meet Angie Rooney who will present Adventures with Genealogy, “Finding Family, Finding History.” Join us as we hear how one Sacramento resident discovered her family's history. Angie will guide us through her experiences with both hers’ and her husband's genealogy as well as share tips on getting started with your own family search. If you are a fan of the PBS series, “Finding Your Roots” with Henry Louis Gates you won't want to miss this event! Your $26 lunch includes a glass of complimentary wine, dessert, gratuity and tax, and includes your choice of Teriyaki Chicken Skewers or Asian Chicken Salad followed by the Casa Garden’s yummy Almond Pound Cake with Lemoncello glaze. We look forward to seeing you on September 27 as we explore our family genealogy. Please join us on Thursday, September 20, 2018 at 9:30 am for our Recruitment Coffee at the Casa Garden Restaurant. Enjoy a cup of coffee and breakfast snacks and meet some of our board members and coordinators, who will tell you about our volunteer opportunities. We are always looking for volunteers to serve in the kitchen and pantry, our garden, dining room, bar area, cashiering, and our business office. It’s time to fiesta like there’s no tomorrow! We invite you to attend Casa Garden’s weeklong celebration of Mexican National Independence Week with plated lunches September 10-13 featuring Casa’s tasty Turkey Enchiladas and other South of the Border specialties. If you’re still hungry for our great food…join us on Friday, September 14, for a traditional Mexican buffet, with tacos, turkey enchiladas, beans, rice, carnitas, and a variety of other favorites. The cost is $26 for all you can eat and one non-alcoholic beverage! Strolling musicians will serenade you as you enjoy your feast. If you want some to take home…our yummy turkey enchiladas will be available for sale to-go all week; pre-orders are being taken now! Mexican Independence Day (Día de la Independencia) celebrates the “cry of independence” on September 16, 1810, which started a revolt against the Spaniards. It follows from the day of the Cry of Dolores (El Grito de Dolores), on September 15. Please call 916-452-2809 to make your reservation or click the BUY TICKETS button below. We look forward to seeing you for lunch during this celebration of Mexican Independence! We invite you to join us on Tuesday, September 4, at 11:30 a.m., to sample wines from the Clarksburg Wine Company. To accompany your tastings are delicious hors d’oeuvres, followed by your choice of Chicken Cordon Bleu or Steak Fajita Salad followed by the Casa’s tasty Apple Crisp. The cost is $26 per person, and includes your lunch, a beverage, tax and gratuity. Your food selection and pre-payment is required. Cancellations are accepted until 10 business days prior to the lunch. Tables may be reserved for parties of six or more with one form of payment for the group. 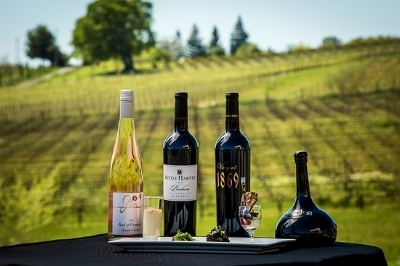 The Clarksburg appellation – located 15 minutes south of downtown Sacramento – produces some of California's most coveted wine grapes planted on more than 7,000 acres encompassing more than 35 varietals. Here, the same cooling breezes from San Francisco Bay that influence the Napa and Sonoma valleys to our west ensure a slow, even growing season, placing the Clarksburg appellation among California's premier winegrowing regions. In fact, many of Napa and Sonoma's most renowned winemakers have been coming to Clarksburg to buy their wine grapes since the 1970s. Established in 2010, the Clarksburg Wine Company is located in the historic Old Sugar Mill in Clarksburg. They are focused on producing a range of full-bodied red and aromatic white varietals that bring out the best of the characteristics that distinguish our local winegrowing region. Our region is best known for growing arguably the best Chenin Blanc, Petite Sirah and Cabernet Franc grapes in all of California. Please call 916-452-2809 to make your reservation or click the BUY TICKETS button below. We look forward to seeing you at our September wine social and lunch! Join us for lunch and meet Mark Hoffman, Owner & Founder of “Sports Leisure Vacations,” Sacramento’s largest and oldest packaged tour and travel company. Mark will give his TOP TEN Travel Tips, based on 40 years and over 5 million miles of travel. Mark will tell you how to avoid the worst pitfalls of travel and throw in things like time shares and credit cards along the way. He may even share some insight into his life story and company experiences. Sports Leisure Vacations was founded in 1979 and has an active client base of 9,000 plus members. This is a pre-pay event. You can secure your reservation by clicking the BUY TICKETS button below, in-person with our Administrative Assistant, Jolene Lavine, or over the phone at (916) 452-2809, no later than August 22, 2018. Casa Garden Restaurant and Event Venue will hold their first annual Rummage/Yard Sale on Saturday, August 4, 2018. This sale will feature all manner of great deals—brand-new items donated by Macy’s & Co., gently used clothing, outdoor gear, crafts and books, furniture, and much more! Hours are 7 a.m. to 2 p.m. You’ll find the best bargains and selections early…so come early and shop often in the Meeting Center, Meeting Center patio, and on our Terrace! 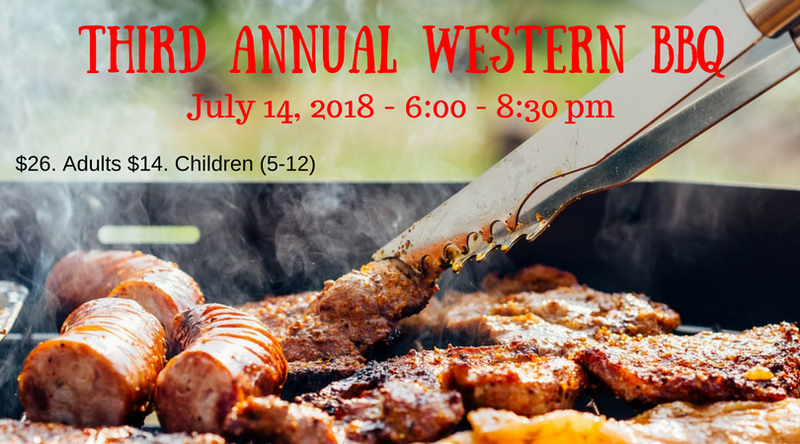 You don't want to miss the Casa Garden’s Third Annual Western Barbecue! Put on your dancin’ shoes, invite your friends, and enjoy your meal accompanied by great live music by country DJs Twin Sisters, complete with karaoke and line dancing. If you’ve got a hankering for good barbecue, bring your appetite for finger-lickin’ good food that includes hamburgers, veggie burgers, hot dogs, chicken, coleslaw, potato salad, baked beans, corn on the cob, watermelon, and ice cream sundaes. Mark your calendar now for Saturday, July 14, 2018 from 6:00 to 8:30 p.m., and bring your friends to a sure-bet of a great evening! Reservations are required and are available at www.casagarden.org, by calling 916-452-2809 or click the button to purchase your tickets online. Tables of six or more may be reserved in advance under one name and credit card or check. Your $26 (ages 4-12 are $14, under age 4 are free) includes the groaning table buffet, one free beer, glass of wine or soda—and a guaranteed good time! Saddle up and we’ll see you there!